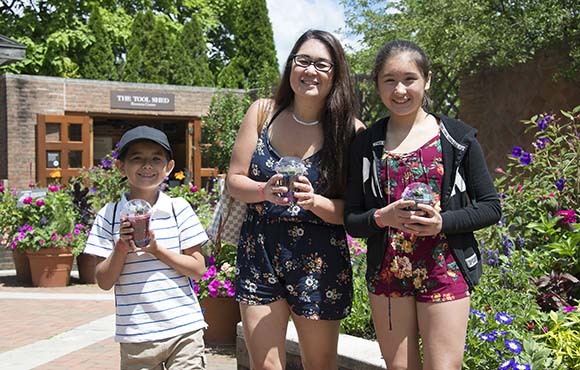 USO families and veterans were welcomed on June 25 to a special day at the Chicago Botanic Garden. A gift from the Annie and Gregory K. Jones family provided the families and veterans with a day of fun experiences: tram tours, admission to the Model Railroad Garden: Landmarks of America and Butterflies & Blooms exhibits, lunch, exploration at the Kleinman Family Cove, nature play at the Regenstein Learning Campus, and creating a mini terrarium in the Buehler Enabling Garden. How is a plant like a member of a military family? 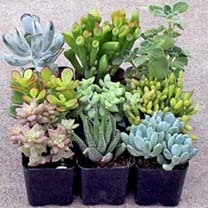 Succulent plant: By deftly storing water, succulent plants live just fine under extremely hot and dry conditions. Military spouse: By using resources wisely, a military spouse stretches money, time, and love to make sure the whole family is taken care of, wherever they may be. 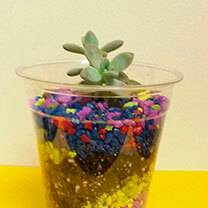 Succulent plant: Develops a tough exterior to endure harsh conditions. 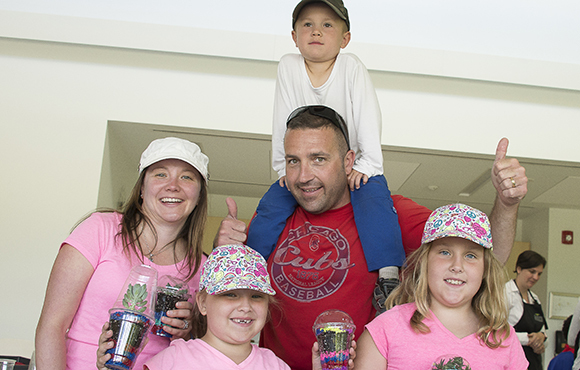 Military parent: Develops coping skills and the ability to play both mom and dad roles to endure long deployments. 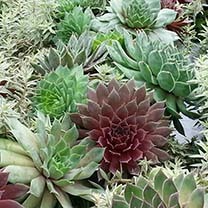 Succulent plants: So many colors, leaf shapes, growth habits, and unique beauty—yet all have key traits in common. Military kid: Powerfully diverse in appearance, personality, and beauty—yet all have key traits in common. 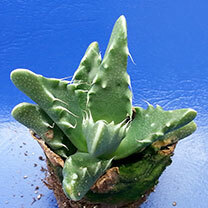 Succulent plants: Belong to many plant families, but all are classified as succulents because of the features they have in common. 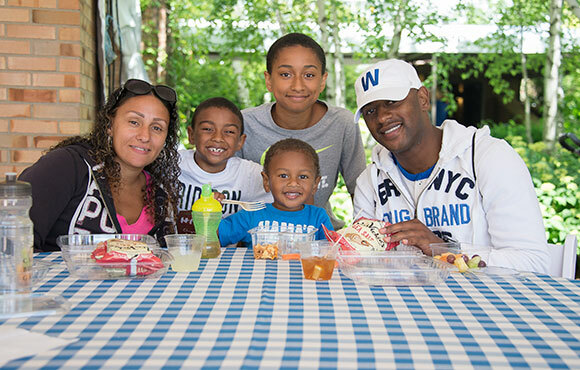 Military families: Each family is unique, and many include extended family members for support, yet each family takes pride in—and draws strength from—the traditions, support, and high purpose that being part of the military offers. One striking thing about the day was the eager participation of everyone who planned and worked on that day. Garden volunteers raced to sign up for shifts. Many cited their own family members in service and their strong desire to honor those who keep us safe and free. The USO of Illinois had an equally eager corps of volunteers who came to the Garden early on a Saturday morning to get the “goodie bags” filled and to register everyone. Kay Knight, horticultural therapy coordinator, was the Garden’s point person for planning the day. Kay worked with departments across the Garden and with USO of Illinois to make sure everything ran smoothly. According to the many, many compliments and thanks expressed, Kay succeeded! 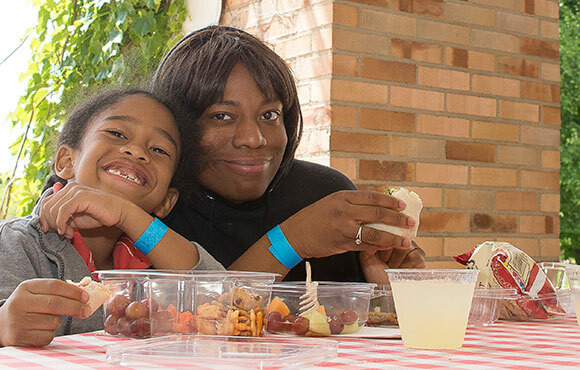 The USO families had fun doing activities together and enjoyed the red-carpet treatment.